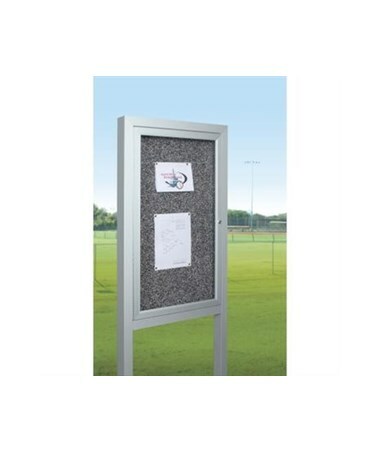 The MooreCo All Weather Herald Bulletin Board is a freestanding outdoor bulletin board cabinet that will protect anouncements from the elements.It is perfect for parks, and recreational areas, college campuses, stadiums, buisnesses, school entrances, restaurants, and just about anywhere. It comes in various widths and heights; the posts are 8 feet long allowing for a good eye level height after installation. The All Weather Herald features a protective acrylic window, porcelain steel back panel sealed with silicone, and weather stripping on all door openings to prevent water from damaging the bulletin board's contents. Trimmed with anodized aluminum and a virtually indestructible, moisture resistant Rubber-Tak™ back panel which withstand UV rays. The door locks prevent tampering thereby keeping your announcements safe and secure. We offer the All Weather Herald Bulletin Board in a choice of five sizes. Depending on the size will be included a one or two door. Please select from the drop down menu above. With top of the line quality and amazing value the All Weather Herald is the simple choice. The MooreCo All Weather Herald Bulletin Board is TAA compliant and backed by a 5 year warranty. 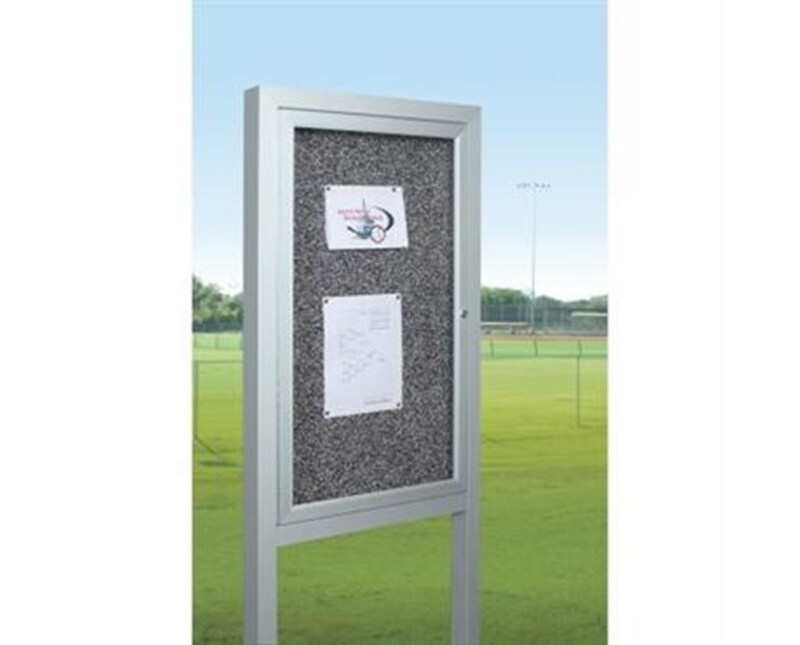 Freestanding outdoor bulletin board cabinet will protect announcements from the elements. Perfect for parks and recreational areas, college campuses, stadiums, businesses, school entrances, restaurants, and just about anywhere. Porcelain steel back panel sealed with silicone. Weather stripping on all door openings to prevent water from damaging contents. Anodized aluminum trim and a virtually indestructible and moisture-resistant Rubber-Tak™ back panel withstand UV rays. Cabinets come in single or double door options and a variety of sizes.